LOS ANGELES (CN) – Disney and its subsidiaries failed to convince a federal judge to preliminarily block rental company Redbox from selling download codes for movies like “Star Wars: The Force Awakens,” “Guardians of the Galaxy Vol. 2” and “Beauty and the Beast,” a practice Disney says infringes its copyright. 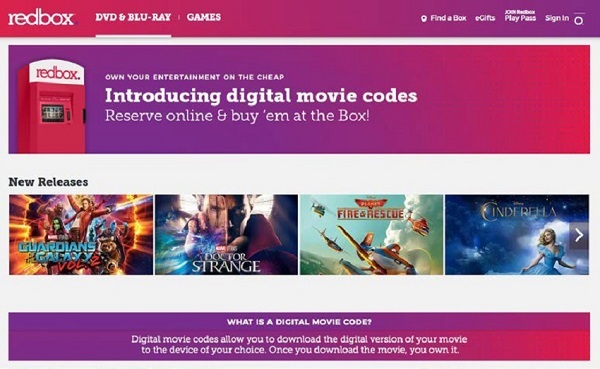 The order issued Tuesday denied Disney’s request for an preliminary injunction to bar Redbox from selling download codes found in movie combo packs Disney, Lucasfilm and Marvel Film. In its initial complaint, Disney said Redbox’s sale of those codes constituted “tortious inference” with the relationship between Disney, its customers and the licensees of those download codes. But U.S. District Judge Dean Pregerson found at this point Disney isn’t likely to prevail with its argument that Redbox accepted the terms of the code license based on DVD shrink-wrap stickers. “The phrase “Codes are not for sale or transfer” cannot constitute a shrink wrap contract because Disney’s combo pack box makes no suggestion that opening the box constitutes acceptance of any further license restrictions,” Pregerson wrote, citing the 2017 Ninth Circuit holding in Norcia v. Samsung Telecommunications of America. Instead, Pregerson found more value in Redbox’s argument that Disney’s various restrictions over its media content constituted copyright misuse. Buena Vista Home Entertainment, Disney’s movie media arm, cannot stop consumers from selling or passing off physical DVDs from those combo packs to someone else, according to Pregerson’s order. Disney Enterprises, Buena Vista Home Entertainment, Lucasfilm and MVL Film, Marvel Comics film branch, filed their federal copyright complaint against Redbox Automated Retail in November 2017. Claims include copyright infringement, breach of contract, tortious interference with contract, false advertising and unfair competition. Redbox countersued on claims of copyright misuse, tortious interference with prospective economic advantage, false advertising under state and federal law and unfair competition. At a hearing on Disney’s motion for a preliminary injunction, Disney attorney Kelly Klaus with Munger Toles called Redbox a “sophisticated consumer” that should have been aware of the terms and conditions of the digital copy. Redbox’s attorney Michael Geibelson with Robins Kaplan called Disney’s terms as laid out on the DVD box is inconsistent. “‘Your digital copy is waiting.’ When you look at those papers, with the codes, it tells you more about a digital copy. Not a license of a digital copy,” Geibelson said. Pregerson called the phrase “Not for Sale or Transfer” found in the combo packs “demonstrably false,” given the Copyright Act explicitly allows consumers who buy DVDs and Blu-ray discs to sell their purchases when they’re no longer wanted. And Disney’s rights are exhausted when it places a copy of a copyrighted work – in this case, the digital copy – into the stream of commerce, Pregerson said. “There can be no dispute, therefore, that Disney’s copyrights do not give it the power to prevent consumers from selling or otherwise transferring the Blu-ray discs and DVDs contained within combo packs. Disney does not contend otherwise,” Pregerson wrote. “Nevertheless, the terms of both digital download services’ license agreements purport to give Disney a power specifically denied to copyright holders. For these reasons, Disney’s request to preliminarily bar Redbox from distributing the download codes without further proceedings fails, Pregerson said.